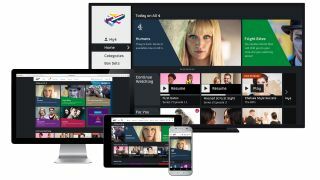 Following the lead of the BBC, Channel 4 has announced that from early 2018 it will make registering for an All 4 account mandatory for anyone looking to access its online catch-up service. While the BBC has said this is to tailor the service it offers to individual viewers (and make sure they’re paying that license fee) Channel 4 has admitted that its decision has partly been driven by advertising. With the data users provide when they sign up for an All 4 account, Channel 4 plans to serve up targeted ads to almost every viewer, no matter what device they’re watching on. The only viewers who’ll get a respite from the personalised advalanche will be those watching on Sky and Virgin boxes as Channel 4 doesn’t have direct control of those platforms. According to Channel 4 executive Jonathan Lewis, “from next year every All 4 advertising opportunity will be personalised or targeted.” If you already have an All 4 account, you’ll probably have already provided Channel 4 with your location, age, gender and a good idea of what you like to watch. That Gogglebox binge probably feels like a mistake now. If you do regularly use that account, you’ll also probably have already seen some of these personalised ads. Whether you like them or not is another matter. As well as targeting online streamers, Channel 4 is also looking to direct targeted ads towards its ordinary TV viewers. The broadcaster is reportedly looking at a range of potential partners to help make this happen, including Sky, a TV-provider with its very own data-collecting technology called Adsmart.